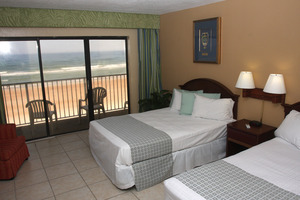 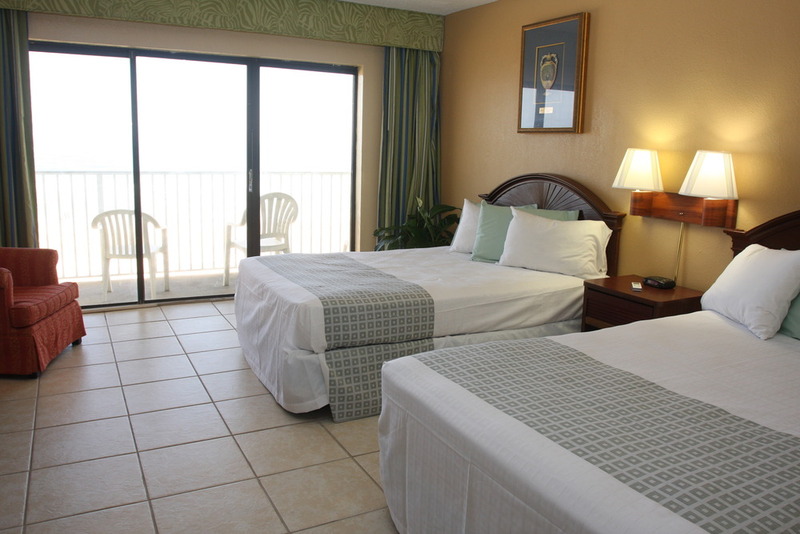 Max Occupancy: 4 Enjoy beautiful full Atlantic views of the beach and watch the dolphins swim by in the beautiful sunrise, from your private balcony. Oceanfront Kitchenette has two double beds with comfortable bedding, radio alarm clock, 32 inch flat screen television and free in room wi-fi. 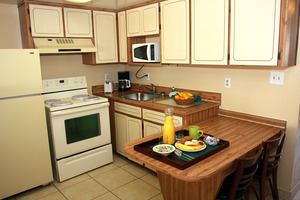 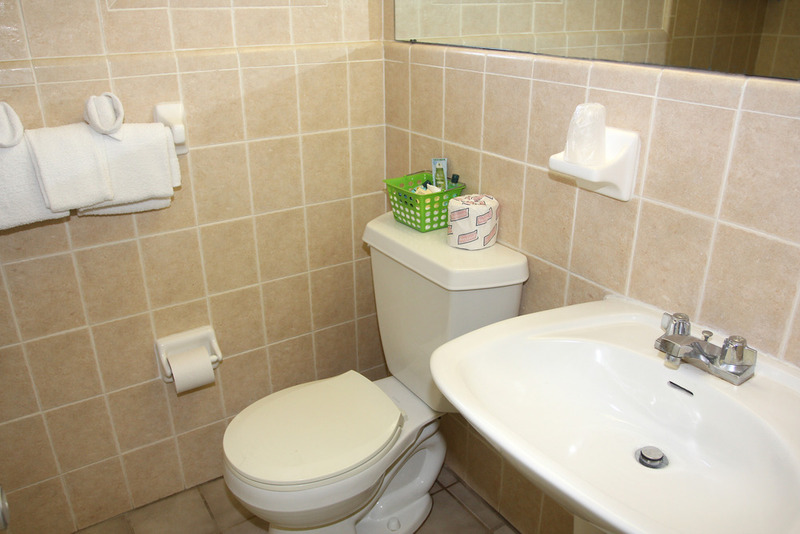 This Unit has a fully equipped kitchen with a full-size refrigerator, stove, microwave, coffee maker and all dishes and utensils.